Stay warm and train hard in the Uglies Hoody from Canterbury; practical, comfortable sportswear that won’t let you down. Made according to Canterbury’s exacting standards, this hoody’s premium blend of 55% Cotton and 45% Polyester is comfortable and warm in all kinds of weather. Also with the Uglies logo print on the chest, it’s all kinds of cool. Practical, comfortable sportswear with a kangaroo pocket on the front to warm your hands, as well as a lined hood and tapered sleeve ending with rib cuffs for a snug fit that helps to lock heat in around the body. 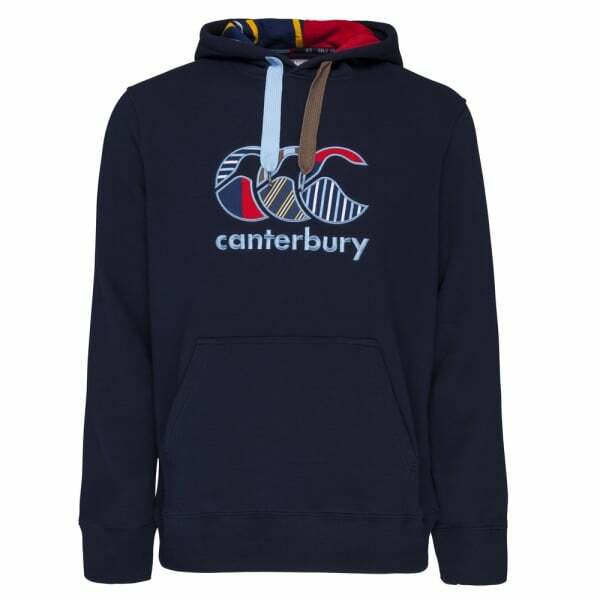 This hoody is perfect for outdoor training when the temperature takes a dive, and its distinctive CCC Uglies branding identifies the wearer as a member of the famous Canterbury clan of players and supporters.